Biden Assaulted By The Left, Is This Right, What Happens Now? 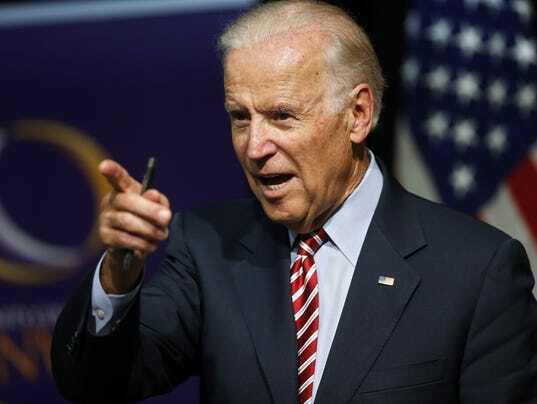 I am always amazed how the left loves to come at us from a position of moral authority, VP Biden may be one of the worst at doing this, but when this same moral judgment is towards one of their own, or themselves, they change their tune in a hurry. This is what we see with the latest accusations against VP Biden. Before I get started, I need it to be stated, I am not a fan of Biden, but I by no means support this murder by a thousand cuts we see with the left today. I have always found him creepy with the way he deals with women, but I am not in personal contact with him, so for me to say he is doing something illegal or morally wrong, that is a judgment I can’t and won’t make. I also need it to be known, I am not sticking up for Biden because I believe in his politics, rather, I could not be more opposed to them. With that said, what I have a terrible problem with is the left has told us as they attacked, tried to destroy the life of both Trump, later of Kavanaugh, we need to listen to the complaints of the woman, they are never wrong, but when it is against one of their own, as we have seen with Biden now, earlier against Ellison, we see a tendency to ignore the complaints and stick up for their rising star. Here is a great example of the hypocrisy of the left, for that we can look to our delightful women on the view. Turns out they have two sets of morals, one if it is a Democrat that is accused and another if a Democrat is. This is the problem I have, I am not fan of this either way, to me this may be the death keel for the #MeToo movement, it has gone from a movement to empower women to a movement used to attack political opponents. I am no fan of Biden, but I am less a fan of lies that are used by accusers to make something that is not sexual in nature into something that is. Also while this woman was doing this, she openly admitted she was doing it for political purposes, this makes this even more suspect. I know many of you will say, the left does it to the GOP all the time, but we need to ask, do two wrongs make a right? Of course not, it is just two wrongs are done, in the end the innocent suffer. I have no bone in this fight for Bidden, but if it is allowed to be done against him, when does this stop, what if it happens to you? This is how out of control the left is, we will do better to expose this lie and hypocrisy for others to see then to roll in the dirt with them. PreviousShould The US Go Back To The Moon? Are Democrats Still Part Of The Culture Of Hate?